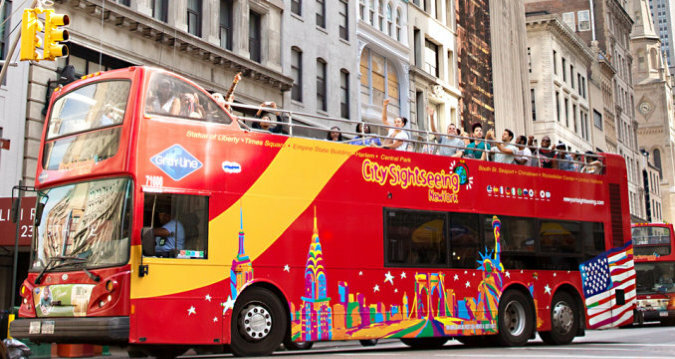 72 hours of hop-on hop-off Double Decker fun in New York City is one click away! Description 72 hours of hop-on hop-off Double Decker fun in New York City is one click away! 72 hours of hop-on hop-off Double Decker fun that includes the Downtown Loop, Uptown Loop, and Brooklyn hop-on, hop off tours! Also includes a Bronx Loop and Night Tour (not hop-on, hop-off). Plus, use your ticket to access up to 5 attractions!